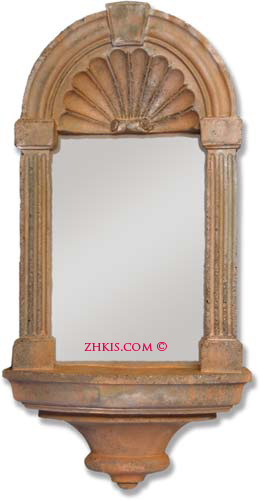 Greek style wall niche. Has a mirrored back, so you can see the back side of the piece being displayed. Shelf is 8 inches deep so it can hold a nice size piece. Easy to hang on the wall like a picture. Made of durable fiberglass with several finish options available.